In the height of summer what’s better than a dip in the water? 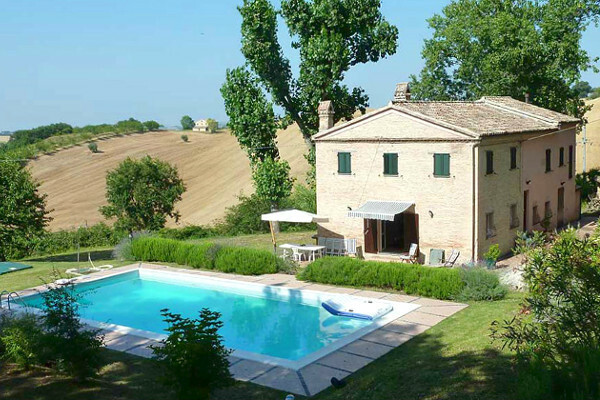 This restored farmhouse, which is ready to be lived in, is superbly positioned just 1 km from all services and a few minutes from Ancona airport. It is immersed in nature and from your lilo in the swimming pool you can survey miles of green hills just at a stone’s throw from the marvellous Adriatic coastline. Asking price: € 149,000 neg. Unique villa near to the town of Carovigno and at a walking from the crystal clear waters of Puglia coastline. There is a veranda which is ideal for al fresco dining with friends and family and wide terrace overlooking the sea. 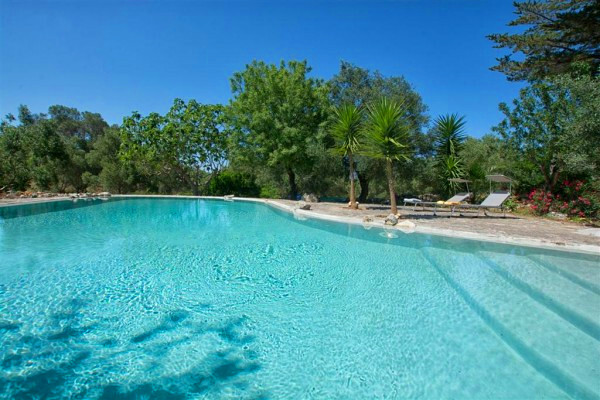 The swimming pool is nestled in the Mediterranean vegetation enjoying complete privacy. A must see! You’ll rarely find such a characteristic property dating back to 100 years ago but totally and perfectly restored to its ancient glory. Well maintained lovely garden with swimming pool and plenty of space for sunbathing with a “secret” pergola. 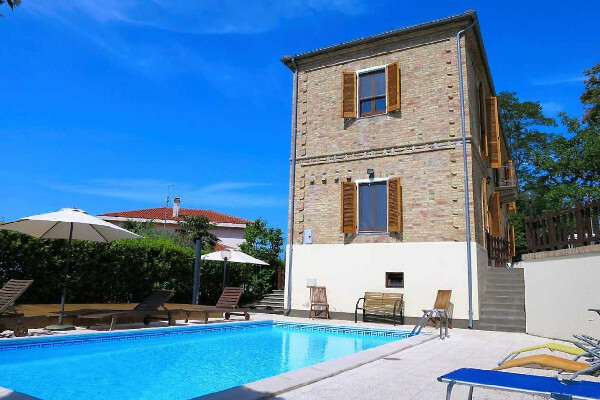 Charming views of the surrounding hills and villages with Gran Sasso mountain as a backdrop and the sea just 15 kms away. Asking price: € 285,000 neg. 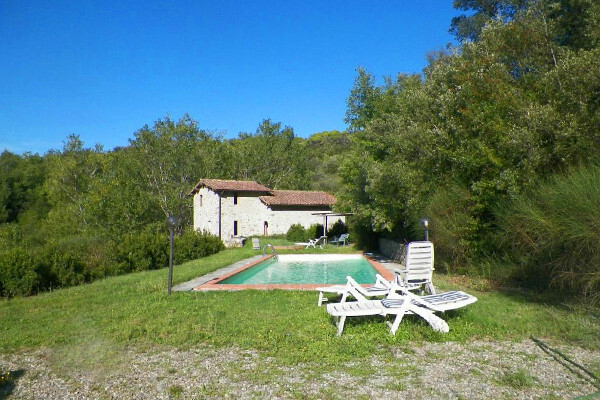 Recently built stone built house with olive grove and swimming pool completely immersed in the peace and quiet of the countryside. 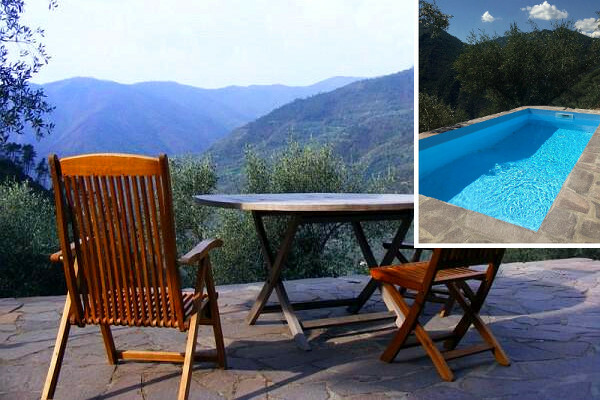 It enjoys breathtaking views over the valley and surrounding mountains yet it is only 25 km from the sea. The property has been created with quality finishes and materials and follows the typical Ligurian style. Lovely stone build country house with garden and woodland where a beautiful swimming pool is nestled. It is located in a secluded area yet close to every service in one of the most prestigious areas of Tuscany where Chianti is produced with Siena in the not too far off horizon. And it is possible to visit Arezzo and Montepulciano with easy main roads. is it possible to build a second house and buy some more land adjacent to the property?